A male Common Green Darner (Anax junius), one of our largest species of dragonfly. You should really click on the picture for a larger view, since there is some great detail here because this one perched quite a while below eye-level, allowing us all good looks as he rubbed his front legs over his eyes. Note how large those eyes are: dragonflies are like raptors, depending on vision to hunt. 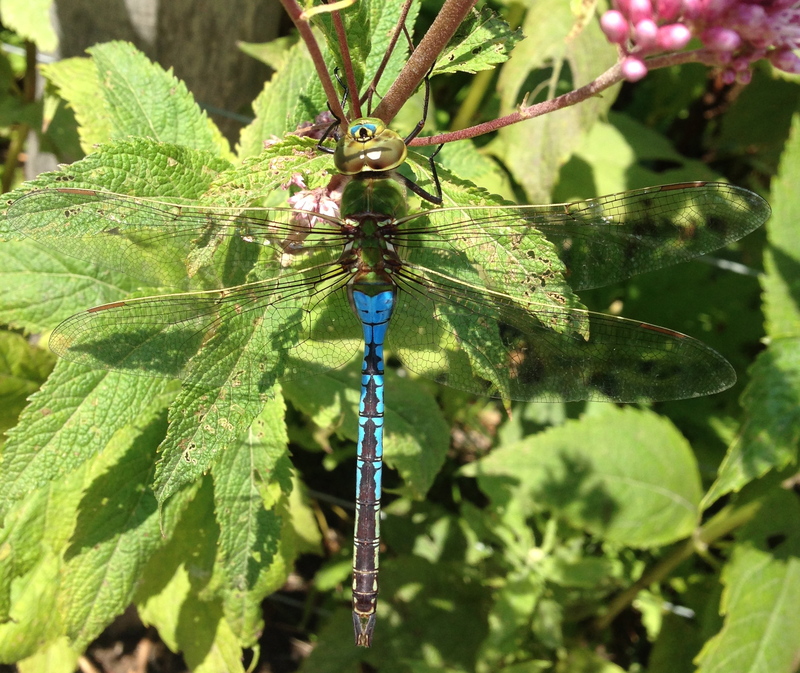 A migratory species, this three-inch long darner is usually the first dragonfly seen in the spring and one of the last in the fall (a female is pictured in the link). Thanks for your emailed photos and captions. I treasure them.